MOTOWITCH COLLECTIVE is where those curious or obsessed with motorcycles can come for inspiration, feel-good stories, events they can attend, courses they can take and tips they can use. We have videos under MOTOWITCH TV that their eyes can drink in, as well as Podcast interviews; MOTOWITCH CHRONICLES, filled with tales from women who live their motolives to the fullest. These interviews feature world-wide #womenwhoride from many walks of life and spanning many age brackets. Some women grew up with motorbikes, living and breathing the culture. Some came to it later in life, some were already Grandmothers when they started. From women who battled cancer, paralysis; those who bore children and lost them, others chasing world records and many tales yet to be told. So many women from many walks of life, with one thing to connect them all, as if they are Sisters; riding their motorcycles. 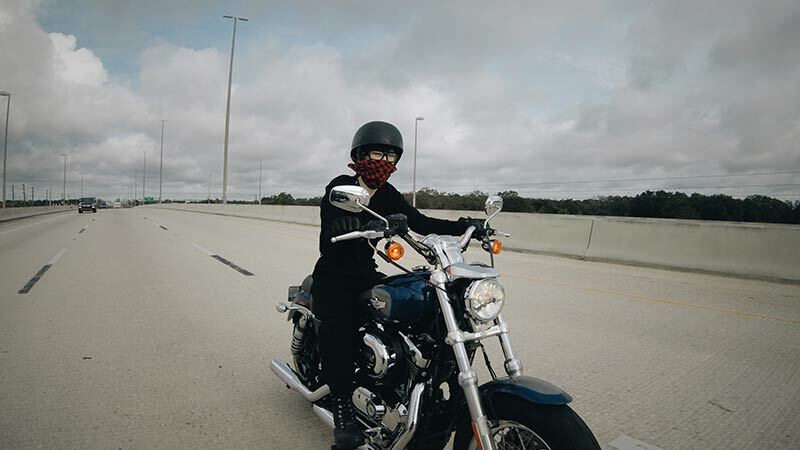 MOTOWITCH hopes to inspire women young and old, to live life to its fullest and maybe even join us on the road someday with their own motorcycles. We aim to create a space where women are empowered and celebrated for their independence, strength and determination. Where people can learn something and support one another. We believe in the equality of sexes. We’re not sexist. We love our men, we love our women. This is simply a home for all things motorcycles from a female perspective, for the female rider. 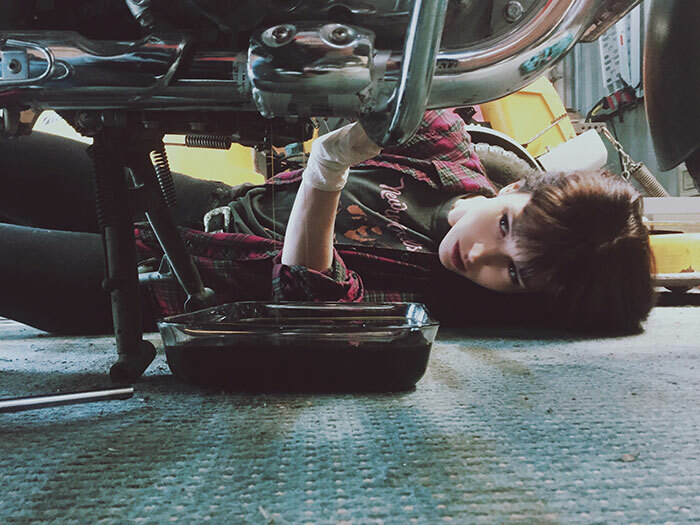 To lend another voice, a female one, to the motorcycle community. So, dudes, you’re welcome to read on, safe in the knowledge that you are loved and welcome. I am Kojii Helnwein, the Founder of MOTOWITCH. This dream of mine was born when I first started riding motorcycles and couldn’t find any one place where I could learn more about this new adventure I had embarked on. I wanted to uncover where all the other female bikers were. What gear did they use? What driving courses did they take? What trips did they like best? What did they pack? What luggage did they like? What bikes did they ride? What adventures did they take? Everything I found was written by men, for men. The first time I picked up a copy of the single bike mag produced in my country, I found one short article written by a woman. All the ads and all the gear reviews were for and by men. I scrolled through websites, Instagram, Pinterest, biker magazines. There was so little that appealed to me, and what was out there for women I devoured in minutes. The #womenwhoride tags on Instagram were becoming filled with lame bot-like accounts. It was clear that these were dudes reposting random photos of scantily clad chicks on bikes, few of whom could actually ride. Initially, the MOTOWITCH CHRONICLES podcast was a pet project that was never supposed to see the light of day. I was challenged by a friend to record 6 episodes on any topic I was passionate about to keep my creativity flowing. I went through quite a few ideas; parenting, home birth, music, art. Soon I realised I couldn’t focus on any of these topics I knew inside out because I really just wanted to be outside, riding my Royal Enfield through the Irish countryside. After that realisation, MOTOWITCH was a no-brainer. When I finally started interviewing my fellow female bikers, the response was overwhelming. It turned out I wasn’t the only one starved for this content. Our podcast conversations brought up so many topics that we couldn’t fully cover in one episode, and thus the MOTOWITCH BLOG was born. With each interview came more support from the female biker community. MOTOWITCH COLLECTIVE grew with each word, email, call, text, and hug of support. Every woman I spoke to made me promise not to let it go. So here we are…neck deep in a small idea that keeps growing. Just wait until you see what I have up my sleeve for this baby! I hope you’ll stick with us as we learn, on the fly. LISTEN below to Episode 1 of Motowitch Chronicles where I say hi, introduce myself and give you an idea of what to expect from this little podcast of mine. SIGN UP NOW for our newsletter so you don’t miss out on all things MOTOWITCH as they develop. Don’t miss out on future articles by inspirational female bikers. Join the Collective for free to receive the latest posts first AND your free gift from us. Kojii is an Irish Actress, Presenter and professional multi-tasker. She hosts the South East Ireland leg of the worldwide charity event, Distinguished Gentleman’s Ride alongside her husband, photographer Cyril Helnwein. When Kojii isn’t creating content for MOTOWITCH she can be found at work as an actress or seeking adventures with her 3 kids. 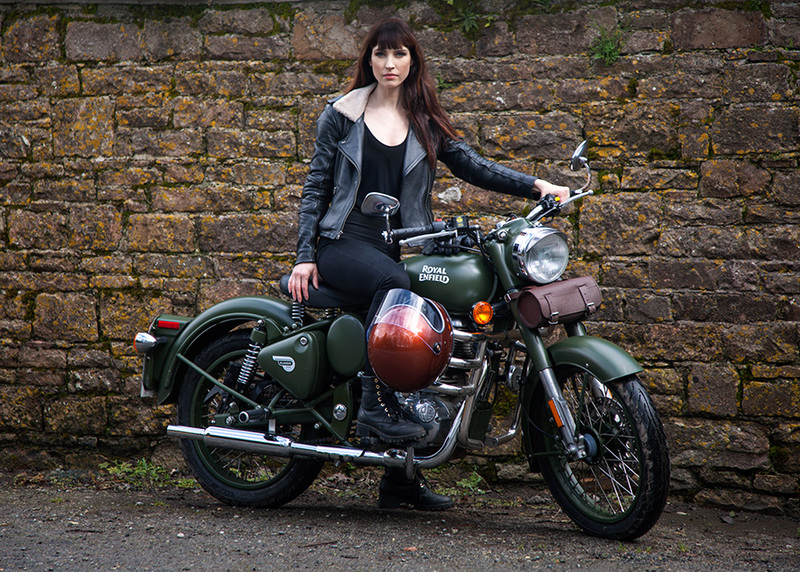 She can often be found exploring the Irish countryside on Betty, her Battle Green Royal Enfield, Classic 500 or Triumph Bonneville T100 and chasing new experiences further afield while interviewing female bikers around the world. More about Kojii’s work can be found on her personal website .